This month, a performance! A performance I have been thinking about and wanting to do for a long time is finally happening! I am writing it, I am performing it, and yes, I am nervous about it. It’s called The Future Show, and it was created by Canadian/UK theatre artist Deborah Pearson. She toured internationally with this show from 2012-2015, rewriting the script for each performance. In 2015, she published three versions of the script and a score/structure for anyone crazy enough to undertake their own adaptation of The Future Show (of that task, she writes, “I imagine that it will only be the keenest of theatre students or the most challenge-oriented yet humble artist”) . I am one of those artists. I’ve been writing and re-writing since late October and through the holidays, an emotionally tumultuous time that provoked a lot of anxiety about the future, and about the choices I was making. I’m uncertain if writing The Future Show through that period helped or not – there was definitely a series of re-writes that occurred as I went through a breakup, and that sucked. The writing draws my attention to how we play these games of prediction every single day of our lives…or at least, I do. How I imagine the places where my tiny and monumental choices may lead me. How those choices inform who I am, just as much as the paths I don’t choose to follow do. The Future Show forces its writer to take a good long look at themselves – what values might I hold closely as I age and what might I cast aside, what things have I invented to create a personal sense of security, what nervous tics pulse through my mind on a daily basis? And, the most daunting task…how do I imagine my death? By now, the writing is mostly done and I am working with Julie Hammond, who is lending her dramaturgical and directorial eyes to rehearsals. On January 30th, you can come see it in Vancouver! 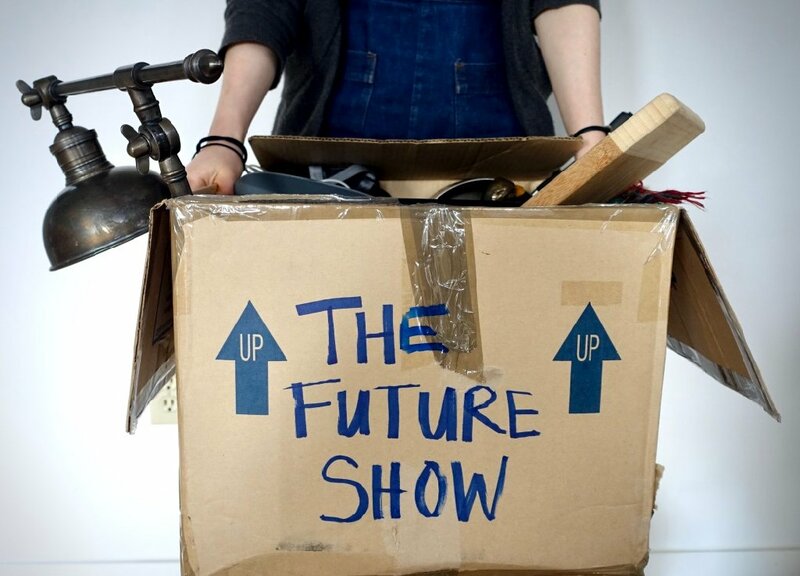 In The Future Show, a solo performer attempts to unveil her future, from the final moments of the performance to the final moments of her death. The Future Show engages with the games we can’t help but play: of prediction, of projecting ourselves into real and imagined possibilities, and examining doors opened and unopened.